Matt Harvey | We Gotta Believe! The Mets defeated the Cubs by a score of 4-2 in game 1 of the National League Championship Series to take a 1-0 series lead. Matt Harvey was brilliant through 7 2/3 innings, allowing only 4 hits, 2 runs, 2 walks (1 intentional), and a hit batsman while striking out 9. Jeurys Familia worked around a 2-out walk in the 8th and a 2-out single in the 9th to secure the 4 out save. Jon Lester was solid for the Cubs, but allowed a 1st inning solo home run to Daniel Murphy, an RBI single to Curtis Granderson in the 5th, a solo home run to Travis d’Arnaud in the 6th, and a sacrifice fly to Granderson in the 7th. Murphy, with his 4th postseason home run, has already tied the Mets record for home runs in a single postseason (Carlos Delgado in 2006, Mike Piazza in 2000, Rusty Staub in 1973). The Mets got off to a fast start, when Daniel Murphy hit his 4th home run of the postseason, a solo shot to right field. Lester settled down after that, keeping the Mets off the board again until the 5th, while Harvey retired the first 12 batters he faced, 6 via the strikeout. In the 5th inning, Harvey hit Anthony Rizzo on an 0-2 pitch to give the Cubs their first baserunner, and Starlin Castro jumped on Harvey’s next pitch to send a double over Juan Lagares‘s head in center, scoring the Cubs’ first run of the game. The game was tied at 1. Harvey then got Jorge Soler to ground out, but Javier Baez singled on a ground ball to Yoenis Cespedes in left field. Cespedes, however, threw Castro out at the plate for the 2nd out of the inning. 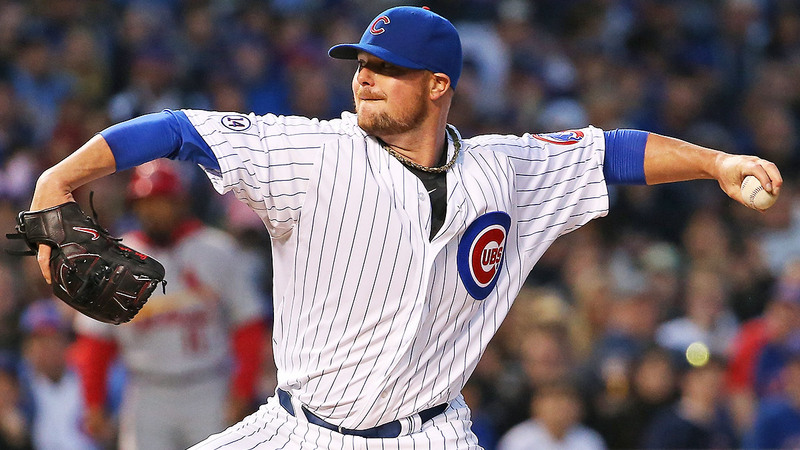 After Baez stole 2nd and advanced to 3rd on a Travis d’Arnaud throwing error, Harvey walked David Ross intentionally to face Jon Lester, who struck out to end the threat. It was 1-1 in the middle of the 5th. However, in the bottom of the 5th, the Mets got the run right back. After Michael Cuddyer struck out, Wilmer Flores and Juan Lagares hit back-to-back singles, but Harvey bunted into a fielder’s choice at 3rd base, forcing out Flores. However, with two outs, Curtis Granderson singled on a soft liner to center, scoring Lagares and giving the Mets a 2-1 lead. After a 1-2-3 6th by Harvey, the Mets added another run on a long solo home run by Travis d’Arnaud that landed in the home run apple in center field, and the Mets had a 3-1 lead. Harvey then worked around a leadoff walk and a 1-out single in the 7th. In the bottom of the 7th, Juan Lagares led off with a single before Harvey bunted him to 2nd. Lagares stole 3rd base (defense-first catcher David Ross had been pinch-hit for and removed from the game) and scored on a shallow Granderson sacrifice fly to left. The Mets had a 4-1 lead. Harvey pitched into the 8th, but after getting the first two outs, gave up a 459 foot home run to Kyle Schwarber, ending his night. Jeurys Familia took over, and after losing Kris Bryant to a walk, got Anthony Rizzo to ground out to shortstop to end the inning. 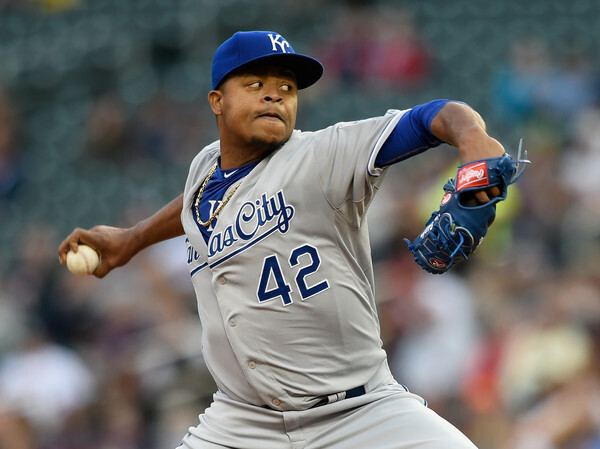 In the 9th, Familia worked around a 2-out single by Miguel Montero to end the 4-2 win. Fittingly, the final play of the game was on a diving stop by Daniel Murphy to get Tommy La Stella at 1st. 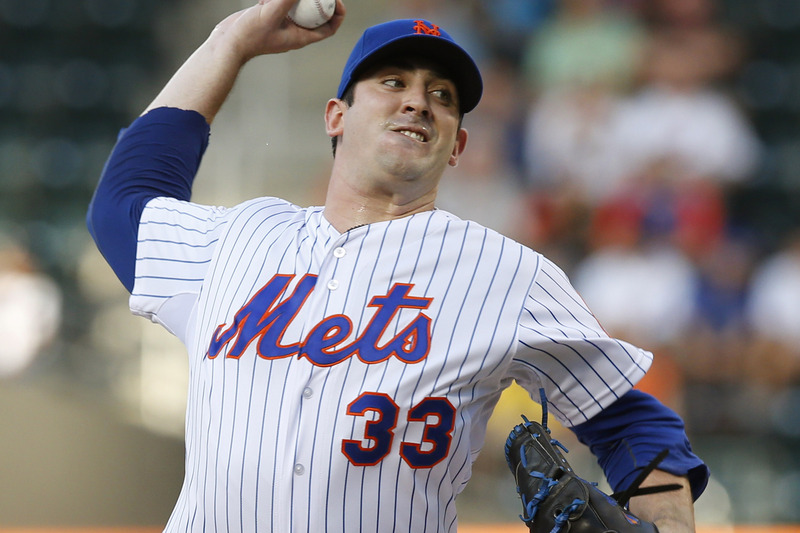 POSITIVES: Today was a fantastic and well-needed outing by Matt Harvey. Harvey was dominant early and worked around some trouble late, and overall, finished with a game score of 70 in his 7 2/3 innings. Jeurys Familia did not have his best command, but worked around a little bit of trouble in the 8th and 9th to secure his 3rd save of the postseason. Daniel Murphy continues his torrid postseason with yet another home run against an all-star pitcher (his 3rd against a lefty this postseason, compared to 1 against a lefty during the regular season). Curtis Granderson came through twice when needed, with a soft liner RBI single in the 5th and a sacrifice fly in the 7th. Travis d’Arnaud was 2/4 with a home run, and Juan Lagares was 2/3 with 2 runs scored. NEGATIVES: David Wright looks a bit lost at the plate, and was 0/3 with a walk. Yoenis Cespedes was 0/4 with 2 strikeouts, but saved a run with his outfield assist in the 5th. Other than that, everyone in the starting lineup had at least one hit, except for Harvey. Noah Syndergaard opposes Jake Arrieta at 8:07 tomorrow in game 2.